Sparkle like a star with A-list inspiration from a sophisticated event in the South. 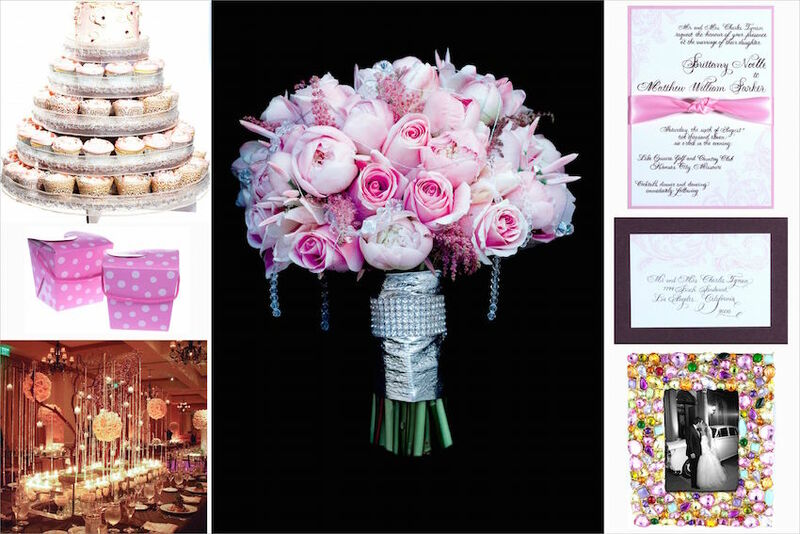 Sparkle like a star with A-list inspiration from the color palette and feminine details of a Southern wedding. 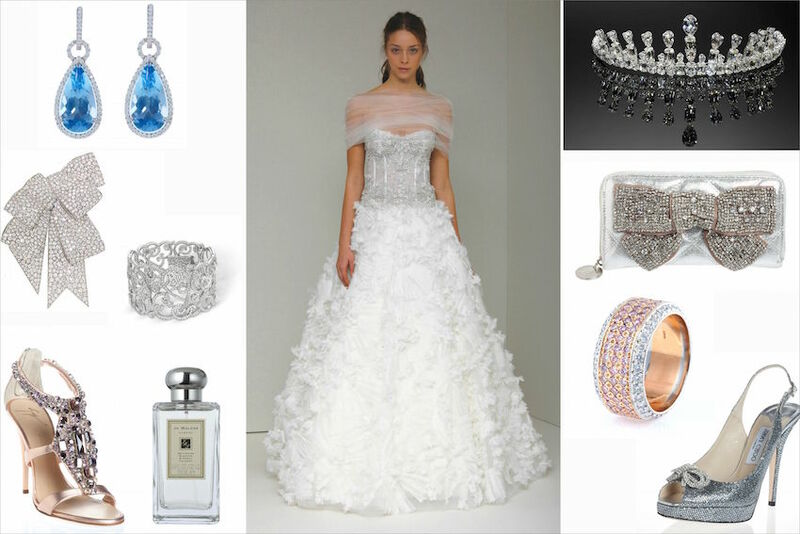 Take a note from Carrie Underwood and have a fairy-tale wedding with enough bling to go around. All you need is a little blush pink and a lot of sparkle to ensure that your big day shines with over-the-top Southern charm. Prior to the big day, do what the celebrities do and photograph your look! Dress head-to-toe in your full wedding look one week before your wedding and have one of your bridesmaids take a picture of you. Photos don't lie, so you'll be able to tweak your style, add or take away accessories, and ensure a perfect vision on your wedding day. Take a look at the ideas below to create your own Southern-style wedding à la country singer Carrie Underwood and ice hockey player Mike Fisher. Add a 3-D element to your invite whenever possible. Fabric, embellishment, or a box makes it memorable! A bouquet with bling and sparkle is fabulous, but it counts as one of your accessories. Make it complement your jewels for a styled look! Cupcake wedding cakes aren't just for celebrities! Give your guests little take-away boxes for the extra cupcakes in your wedding colors, and you have an instant fun favor! Make sure you have a main color, accent color, and a metallic for a super-chic color palette. Every girl needs a "something blue" on her wedding day, and there is no need to hide it. Have fun with it and make yours an unexpected accessory! Don't wait until the morning of your wedding to try on your shoes. Wear them at least two times before your wedding day to ensure your feet have as much fun as you do. Don't leave your look for the rehearsal dinner for the last minute – it sets the tone for your wedding day. 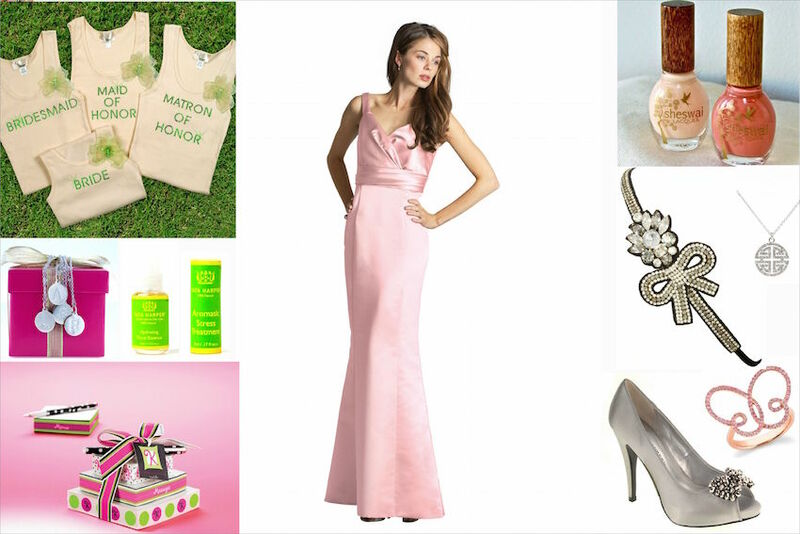 Wear one of your wedding colors to stay within the theme! Make your bridesmaids excited to sparkle with metallic accessories! Wow them with personalized gifts! The best part is, they're one size fits all! 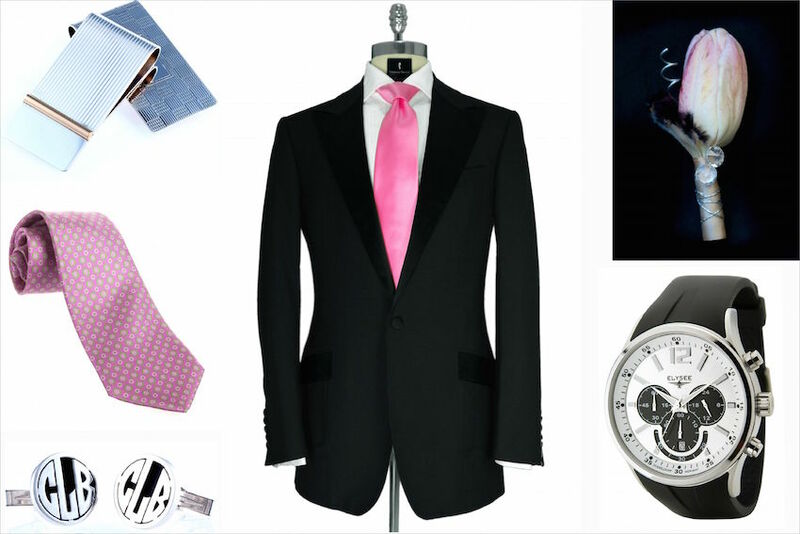 Have your groom personalize his look with monogram cuff links, shimmering accessories, and metallic accents. 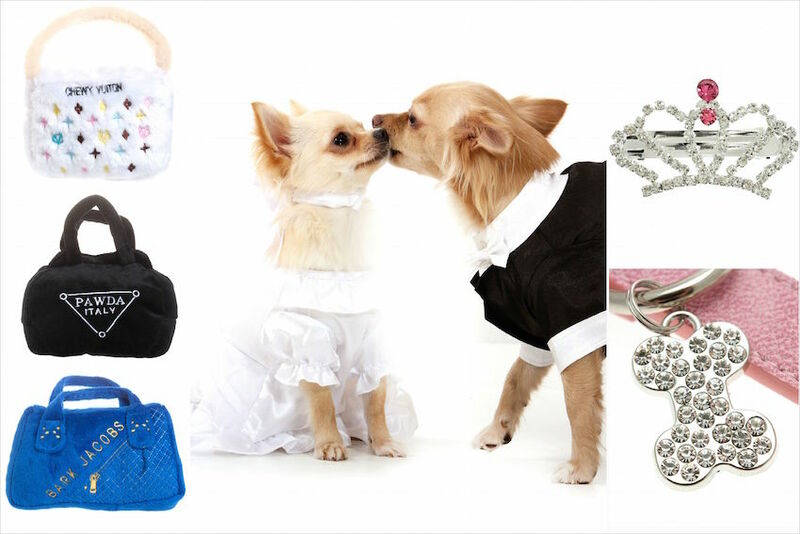 If you choose to put your dog in the wedding, be sure he or she is outfitted for the event! Rhinestone hair clips and dog tags add glamour to pet clothing. Keep them entertained with dog toys in the shape of fashionable purses.